Ben Howe is a visual artist, teacher and composer based in Melbourne, Australia and Hamburg, Germany. In 2007, he moved to Hamburg, where he took up residency at the artist collective SKAM. He now works from his Brunswick studio, the Pigeon Hole. Howe completed his Bachelor of Fine Arts in 1998 at R.M.I.T, Melbourne. In 2001, he subsequently undertook a graduate Diploma in Education at Monash University. The bulk of his work circles issues of representation, structure and consciousness. Coming from a background of hyper realist painting, Howe often produces the initial subjects in sculptural form, and uses them as the basis for his artworks. The finished pieces possess a severe beauty, and are at once psychological, provocative and absorbing. Other works have more political leanings and initiate dialogues concerning gentrification, aesthetic beauty and mass movements. 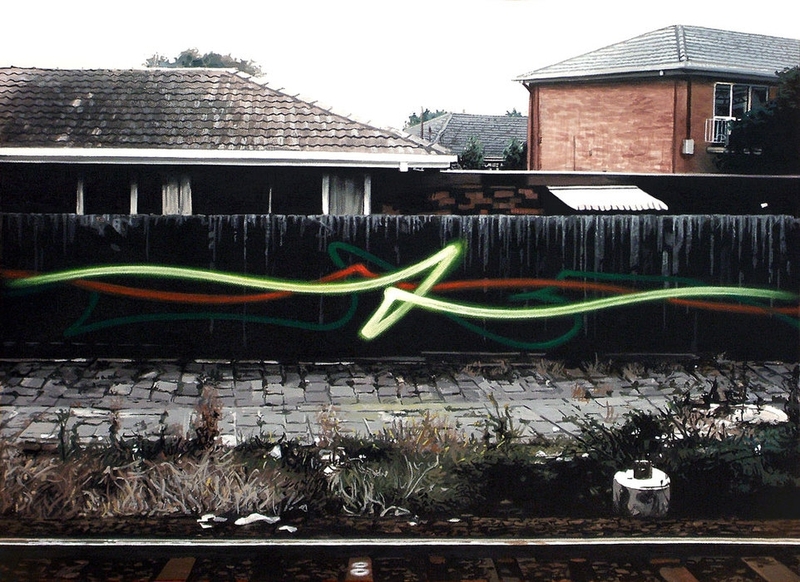 He has helped to establish gallery 5-502 in Sydney, participated in the European Art festival, Hamburg and his work has featured in the publication “Selected Contemporary Artists of Australia,” by Michael Berry.